The good news is that many of the best skin care products on the market can be purchased at your local drug store. An affordable and versatile beauty product that should be in every gal’s medicine cabinet is tee tree oil. Here’s a look at why I can’t live without it. Best pimple treatment. Want clear skin? It seems that a new zit treatmentappears on the market almost daily, promising to zap away yourpimples and reveal clean skin.But sadly many of these products are harsh and don’t get the job done right. I’ve found that tee tree oil is one of the best pimple treatments around. It reduces rashes. Whether you’re a model or an actress, it’s important to have great-looking skin in the entertainment industry. Your job nearly depends on it. 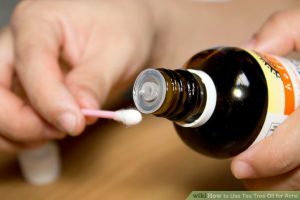 So if you have a sudden rash that you simply must get rid of, tee tree oil does the trick. Use it to reduce the redness and relieve any itchiness.